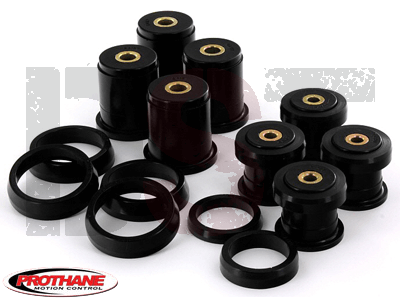 This Rear Control Arm Bushing Kit from Prothane will replace the soft or worn original rubber bushings on your 1997-2006 Jeep Wrangler TJ. 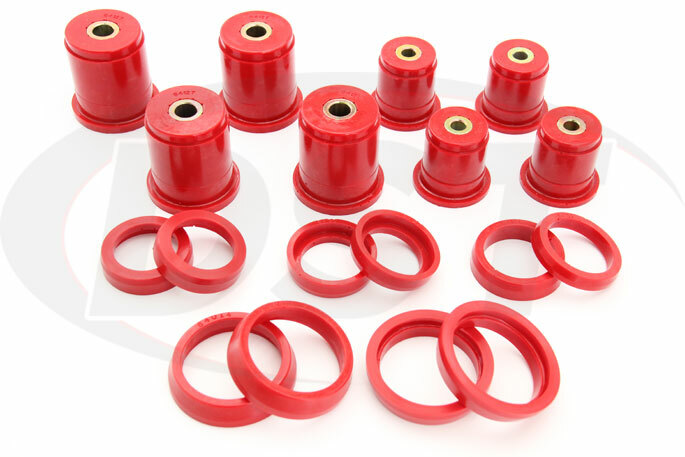 These polyurethane rear control arm bushings can correct rear wheel traction, hold wheel alignment longer, and reduce uneven tire wear caused by worn control arm bushings on your Wrangler TJ. Whether you're taking your Jeep to work or the trails, traction from the rear is pretty important. The alignment of your rear wheels is a pretty big factor for this and the control arms are responsible for maintaining that alignment. 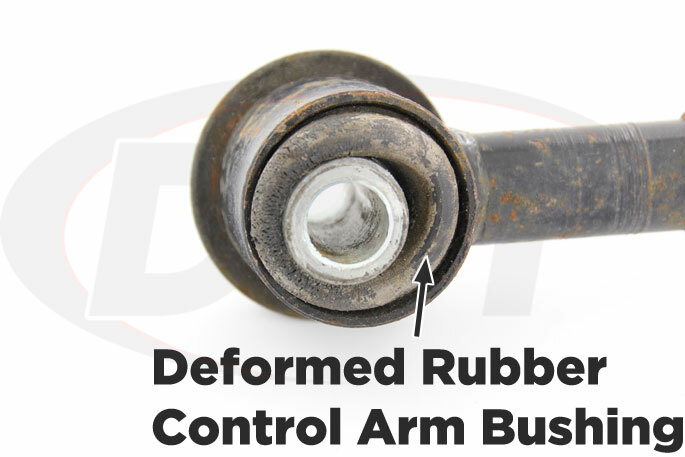 The rear control arms on your Jeep Wrangler are pretty sturdy but the original bushings that hold the arm to the frame are made of rubber which doesn't age well and has a lot of give. When these bushings go the alignment of your Jeep's rear wheels isn't far behind. Your Jeep is already going to be rougher on your suspension if you do any off-roading at all so why would you use the same bushing material as a minivan? If you're looking for something as tough as your Jeep to hold that rear wheel alignment check out Prothane's Rear Control Arm Bushings for the Jeep Wrangler TJ. 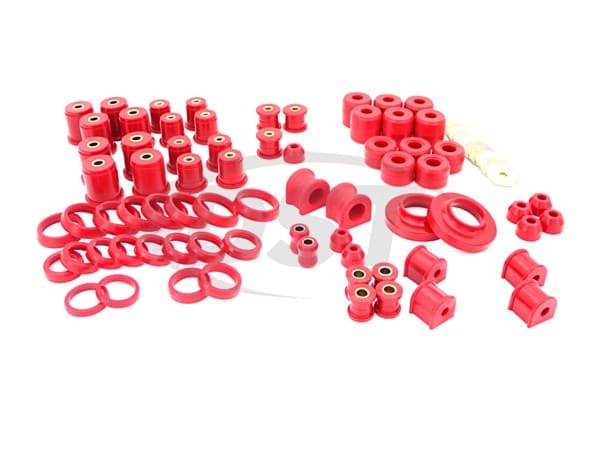 These bushings are made of polyurethane and provide a much firmer connection between the control arm and the frame than rubber. 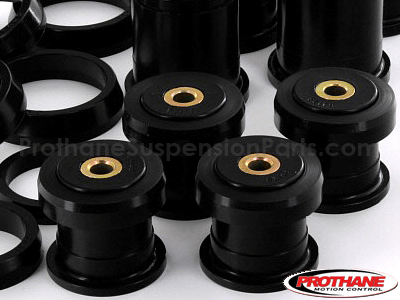 Besides holding the rear control arms in alignment these polyurethane bushings will outlast rubber bushings every time. Heat, road salts, and oils can cause rubber to degrade faster but those elements have no effect on polyurethane. 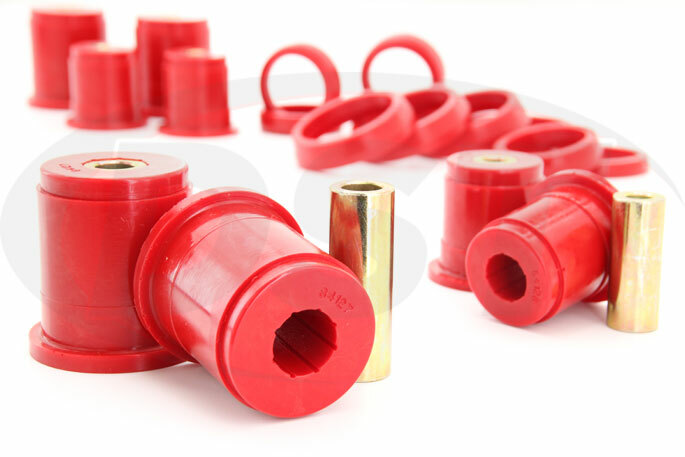 If you're also looking for polyurethane rear sway bar bushings or the front control arm bushings for your Jeep then you might consider replacing all of those old rubber bushings at once. 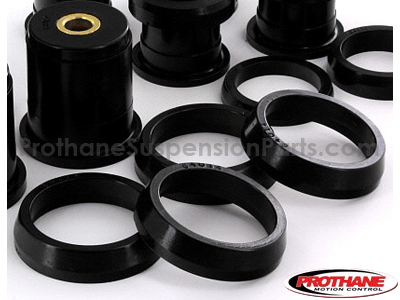 The Complete Suspension Bushing Replacement Kit from Prothane will exchange all of the vunerable rubber bushings in the 1997-2006 Jeep Wrangler TJ's suspension with polyurethane bushings. If you don't want to spend time hunting for the individual parts that fit your specific Jeep then Prothane's Total Kit is the way to go. These bushings will tighten up your wheel alignment, provide better traction in a turn, and last the life of your Jeep. Backed by Prothane's lifetime warranty. Will part number 1204_rear fit aftermarket control arms? No, our bushings are for the OE arms only.